Jacqueline Gilmore was born in Shelton, CT on June 17, 1937 to Arsene and Alberta Smith. Jacqui, as she was known to family and friends, moved to Oxford in the 1960’s and came to love not only the scenic views found near Lake Zoar but the taste of a good Zoar Burger. She could often be found sitting on her porch watching the birds (especially the hummingbirds!) and butterflies in the Spring. Her children meant the world to her and she always looked forward to family gatherings. A wonderful cook, Jacqui was known to start planning Thanksgiving menus at the end of summer and it was NEVER to early to begin making Christmas plans. Possessing a tireless work ethic, Jacqui spent over 40 years working for supermarket chains Grand Union and Adams. In retirement she enjoyed watching British television and playing games on her computer. Jacqui was a loving Mother to Jeffrey Stevens and wife Laura of Seymour, CT, Jody Stevens and partner Lorrie Musbek of Middlebury, CT and Deirdre Stevens and partner Kevin Valentine of Lancaster, PA. She was predeceased by a son, United States Army veteran Fred Stevens. 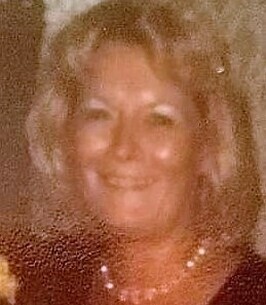 Jacqui, or Nana as she was known to her grandchildren, doted on Jeffrey Stevens and wife Erica, Jason Kan and wife Emily, Colby Vendt and husband Ben, Kellie Stevens, Nicole Kan, Joshua Stevens, Amber Stevens stationed in Pensacola, FL U.S. Navy, Tyler Stevens, Kaitlyn Kozma and 5 Great Grandchildren. She was a wonderful sister to Linda and John Harkabus, Dottie and Dom Celello, Bea Ferguson and Gail Stevenson. Jacqui departed this life at age of 81 on November 12, 2018. Services will be held at 10:00 am, Saturday, November 24, 2018 at Mt. St. Peter’s Chapel - 219 New Haven Avenue, Derby, CT 06418. The Ralph E. Hull Funeral Home, 161 West Church Street, Seymour is entrusted with the arrangements. Please go to www.hullfh.com to share a memory. To send flowers to the family of Jacqueline H. Gilmore (Smith), please visit our Heartfelt Sympathies Store. Sorry to hear you're gone Jacqui. You were always one of my favorite adopted moms. See you on the other side. Willy D.
My sincere condolences to the Stevens children on the loss of their Mom. So sorry to hear of your loss, my prayers are with you.